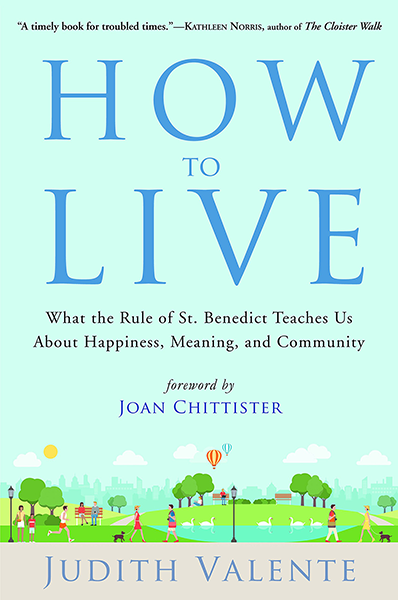 How to Live, a new book by writer Judith Valente, explores the key values of the Rule of Benedict and their application to the 21st century. 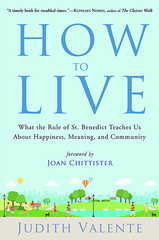 The introduction is by Joan Chittister and the afterword by Martin Marty. Valente, an award-winning journalist, poet, and author is a Benedictine Oblate of Mount St. Scholastica Monastery, Atchison, KS and a member of and writer for the online monastery, Monasteries of the Heart. Judy shares her motivation for How to Live in this short clip. For a limited time, this book will be available through Benetvision.